Our fun times have come to an end in Bonavista, and it is time to continue on, this time to the capital city of the province, St. John's, where we will be spending our next two sleeps. 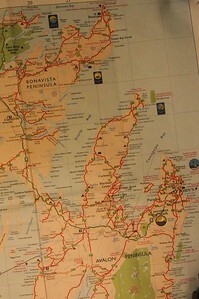 There is a lot we have planned to see and do within those two days, so we waste no time diddle-dallying along the way. What we did not plan on was for no one to answer the doorbell at Cantwell House B&B once we have arrived. 2pm in the afternoon must be a tad early for anyone to be home, but because there is no safe place to legally leave our cars without a parking permit, we can't hang around waiting for the doors to open. What to do in the meantime is cause for our contingency plans to kick into action. 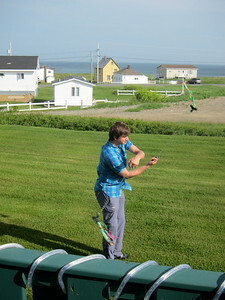 July 2nd While still digesting my breakfast, I am entertained by Marcel, as he demonstrates one of his varied talents. 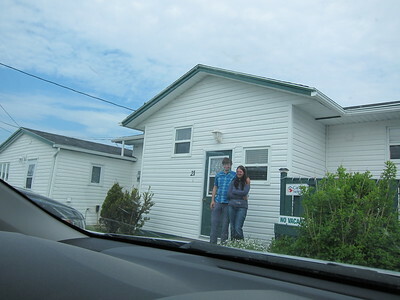 It is time for Us Four to leave Bonavista, and our two new friends from Germany. 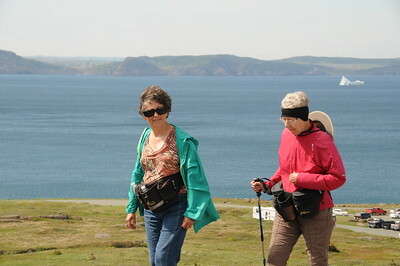 We are heading for the capital, and largest city in Newfoundland and Labrador, St. John's. And it is here where we will spend our next 45 hours. From Bonavista (top-centre), to St. John's (centre-right), was pretty much a continuous drive, with a Timmy break or two thrown in for good measure. 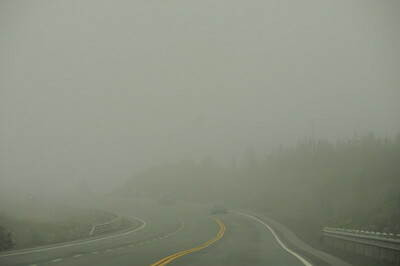 The visibility now is getting more dense as we near the east coast of the island. 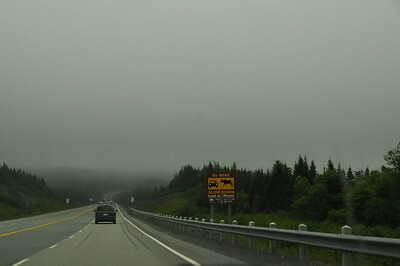 This elevation changes every few kilometres, and so does the fog--the lower we go, the more dense it gets. 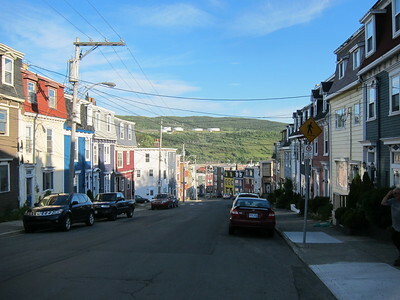 By mid-afternoon we arrive in St. John's. We are all doing our best to follow Donna's GPS' instructions on getting us to Cantwell House. We're kind of driving in circles, or so it seems. 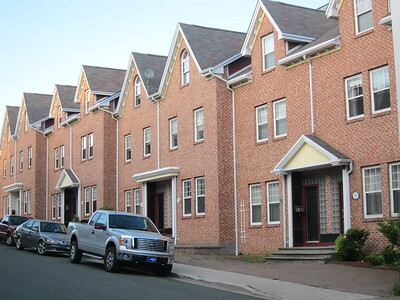 These strange one-way streets and steep hills are quite a challenge to negotiate. 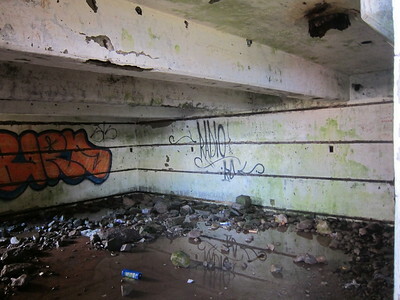 We do locate our place of lodging, but as it turns out we have arrived earlier than expected. 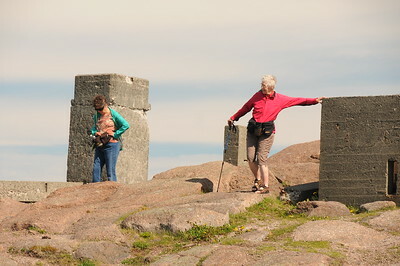 No one answers the door, and it is too "bleeping" hot to hang around here waiting, so we head of to Cape Spear, a fifteen minute drive further south along the coast. 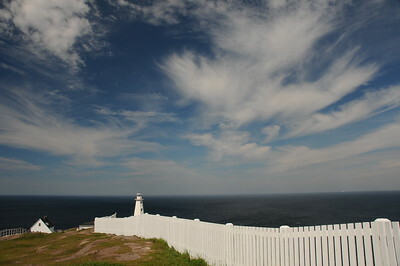 Cape Spear National Historic Site has the distinction of being the most easterly point of land in North America. On my way up to the lighthouse for a boo around, I spot that lonely red chair resting on the top of the hill, the same chair someone else has his sights on. I am worn down, and need a few moments of relaxing time to recharge, so chair, here I come. Well, my lazy meandering time up towards the chair was obviously the time needed for Keith to contemplate the meaning of live. And so here I sit, getting settled in for some rest and relaxation and some women watching. 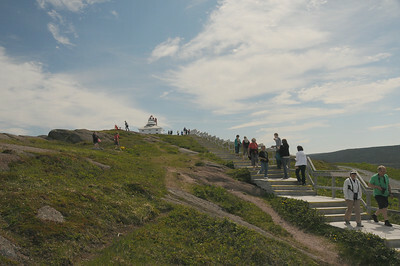 The bunkers (#2 on your map) were constructed during the Second World War to protect St. John's Harbour. 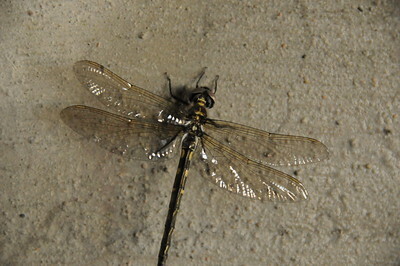 Hanging out on a bunker wall. This Coast Guard Automated lighthouse has been operating since 1955 but is not open to the public for viewing. 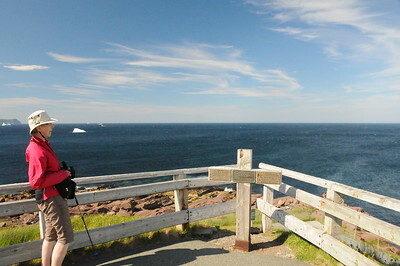 The number of icebergs sailing past St. John's are a far cry from the number we were accustomed to seeing in L'Anse aux Meadows, Twillingate, and Bonavista. 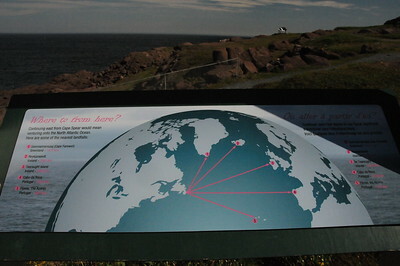 Distances from the most easterly point in North America, where we are currently standing, to other land masses towards the east. A person can't get too much further east in North America than this. 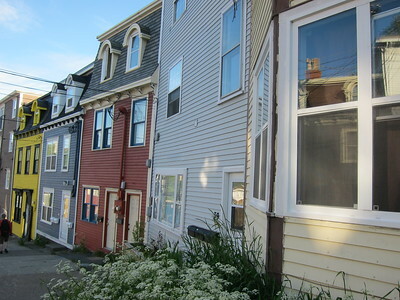 If you have ever seen Newfoundland commercials on TV, you will have certainly noticed the colourful houses joined together. They are referred to as jellybean houses because of their assorted jellybean colours. At first I was calling them M&M coloured houses, but each time I mentioned that, it just didn't quite sound right. 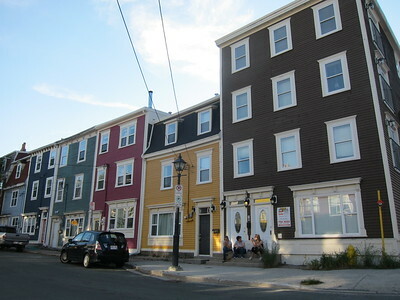 These houses are not so much jellybean colours, I just like the architecture.